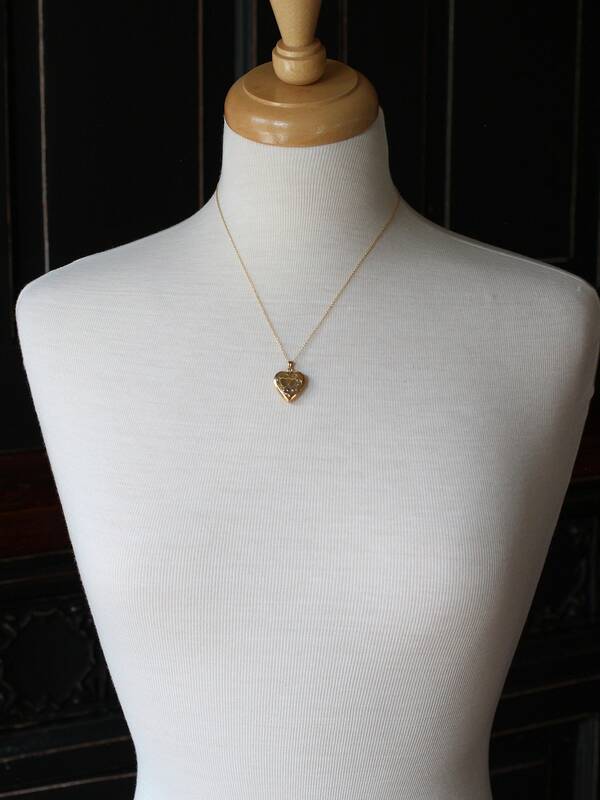 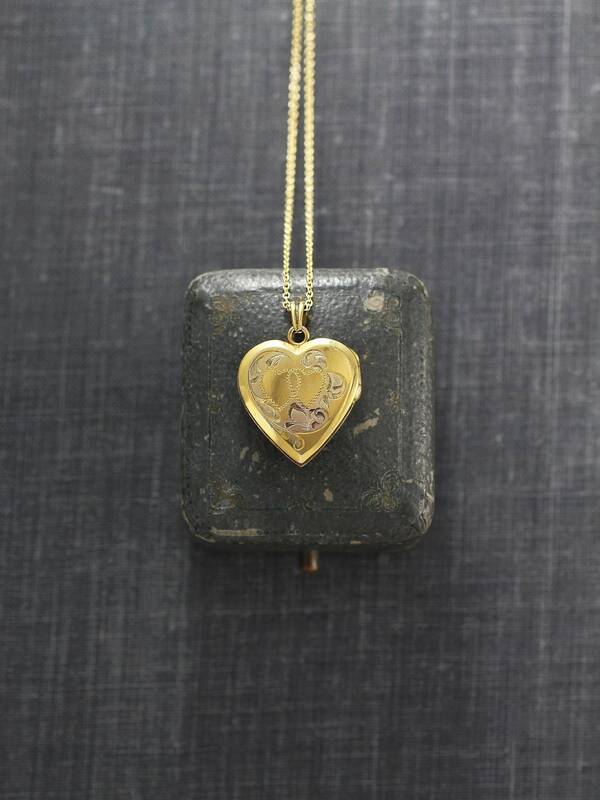 A classic circa 1940's sweetheart locket features two hearts interlocked surrounded by subtle floral inspired detail. 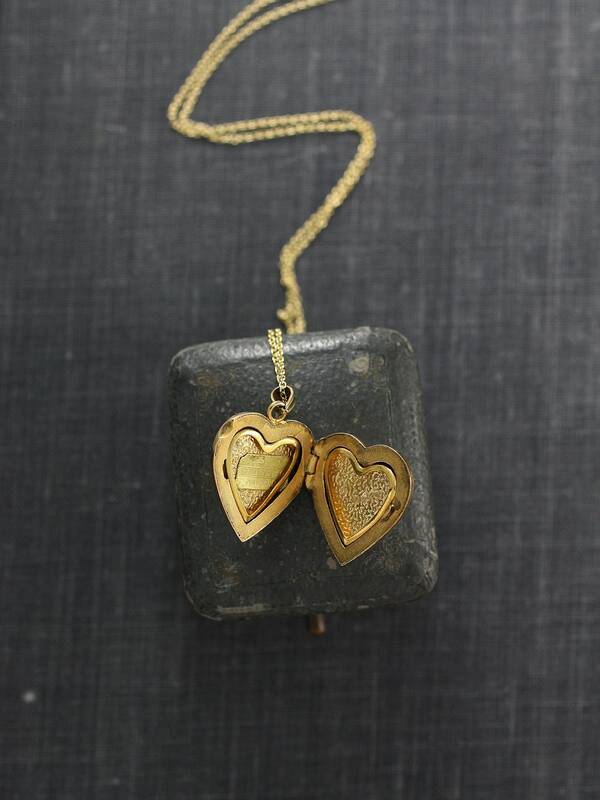 The vintage gold filled heart locket opens to reveal two removable frames waiting to hold your beloved photographs. 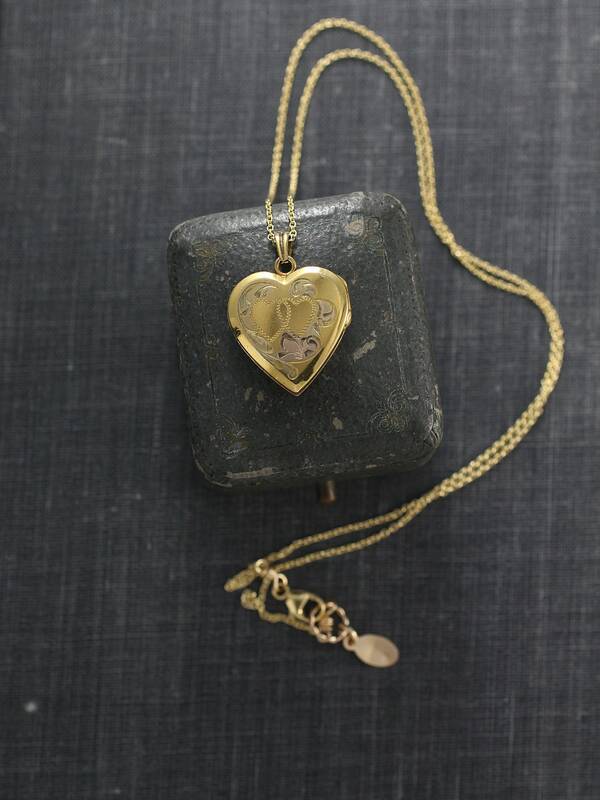 The back of the locket is engraved with the signature pinstripes of the Hayward company. 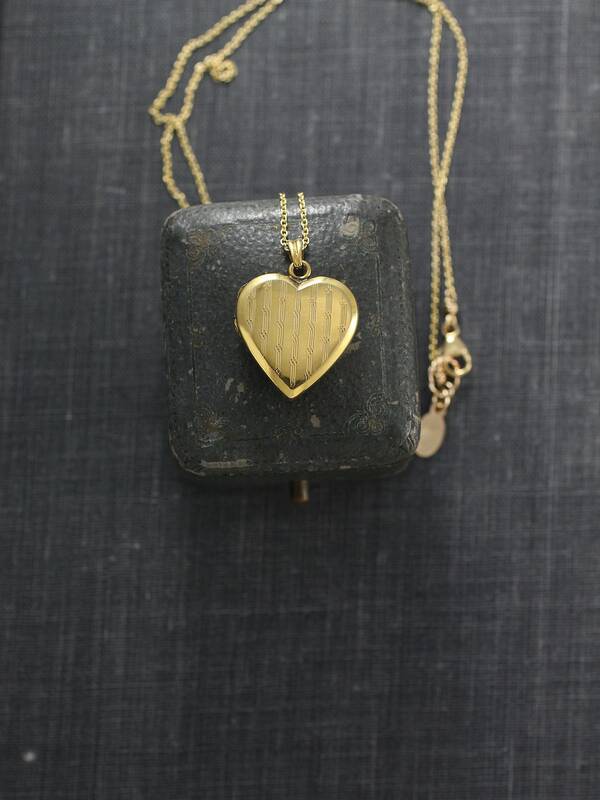 This locket dangles from a new 14 karat gold filled chain hand finished with a lobster clasp and ring.